Skincare Tip: Do’s and Don’ts When Using MoisturizerZinc as Wrinkle reduction treatment Booster? 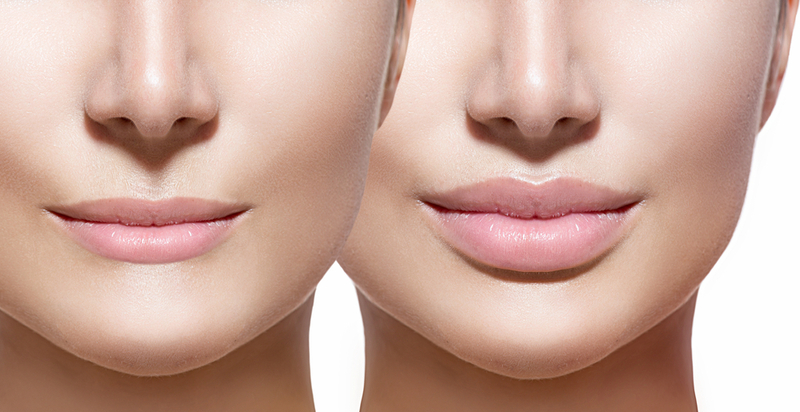 Any procedure that enhances the aesthetic appearance of the lips, making them appear youthful, fuller and complete is known as lip augmentation or lip enhancement. There are a number of things you should know regarding this process and it is important that you understand these things before you get this cosmetic treatment. Lip augmentation is a widely accepted cosmetic treatment for improving the beauty of the lips, making them plumper and fuller. Lip augmentation can be done through surgical or non-surgical process. Under the non-surgical treatment, collagen and fat injections are two most common treatment process, where the collagen and fat are only absorbed by the lip tissue to provide successful results. There is also lip plumper to enhance the appearance of lips without invasive procedure. You don’t need surgery to be beautiful. Most people get lip augmentation to achieve a soft-looking, fuller lips that look so natural and subtle. Some people seek to add definition and volume to a deflated or thin upper lip. Other people want to have a plumper lips, either to restore it or enhance the volume. Skin Hampshire precisely understand how lip fillers work and which one provide the best results for various concerns. Below are the four types of non-surgical lip augmentation you can choose. Lip Plumper. This provides a temporary effect, for at least 6 hours. It is applied on the lips to keep it looking attractive, plumper and fuller. Lip plumper works by increasing the blood supply on the lips. When the lips begins to hold higher blood quantity, the enhance level of blood makes the lips look complete or enhanced. Injectable collagen. Liquid collagen is the most popular when it comes to increasing the size of the lips. The treatment could last for about 3 to 4 months. The downside with this procedure is that it is an animal-based method so it is important to undergo pre-treatment skin test to check for any allergic reactions before getting the procedure. Injectable fat filler. This type of non-surgical procedure for lip augmentation utilize fat injections in the lips to make it look fuller. Injecting your own fat into your lips can increase the volume and make it look more attractive. Because the fat is harvested from your body, it has less side effects. This procedure last for 3 to 4 months too. Hyaluronic acid filler. This types of non-surgical procedure offers less allergic reaction because the substance is naturally found in the body. Once injection, the filler shapes and supports the tissues of the lips. Hyaluronic acid filler causes less bruising and swelling and the bumps or lumps dissolve quickly.